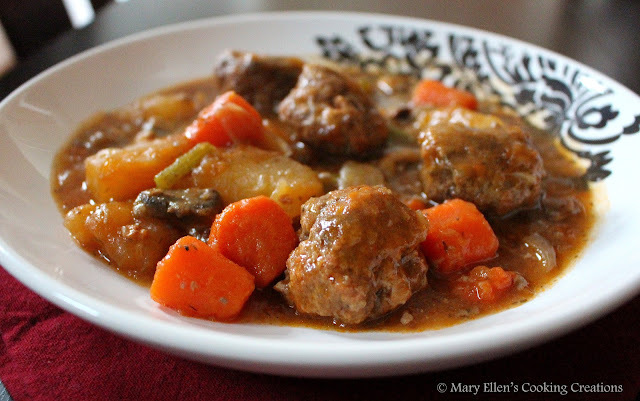 Beef stew is the ultimate one-pot comfort food meal. There is so much to love about it - how it smells as it cooks all afternoon, how it sounds as it simmers all day, how warm it makes the kitchen feel, and of course I also love eating it and having leftovers that are even better the next day. I was really craving beef stew last week but it was a weeknight and I just did not have the time for it. I thought about making it at night to have the next day but that wasn't satisfying me - I needed it now. 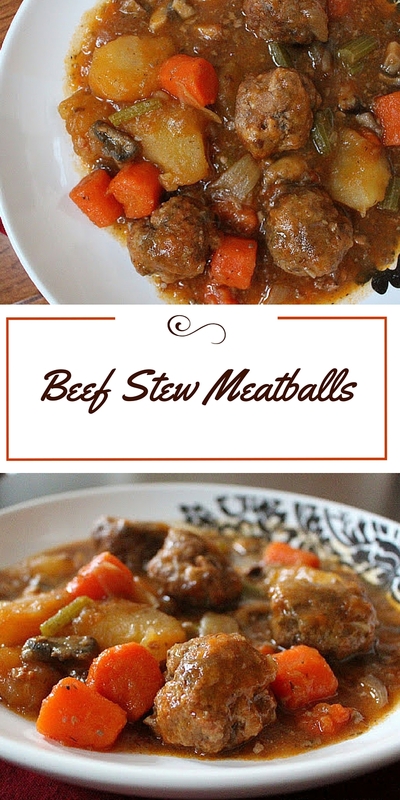 I started to think about how I could make a quick beef stew. 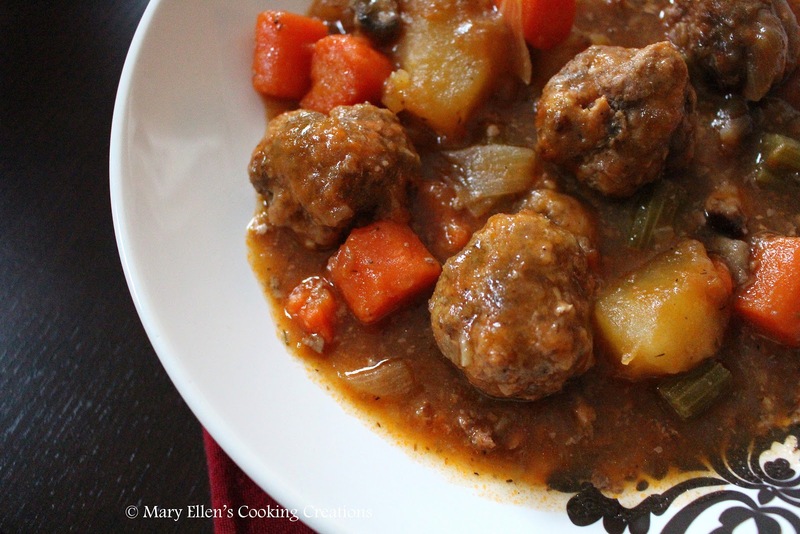 Something where the meat wouldn't need to cook for a few hours to get tender. That's when I thought of making it with meatballs. 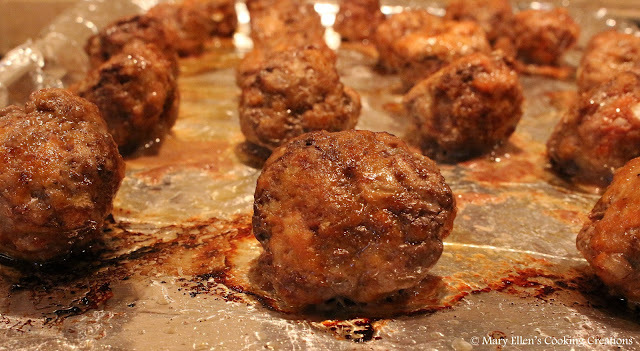 I love baking meatballs - they only take 20 minutes to cook. In that time I could start the stew, and then throw it all together and let it simmer while we were taking care of after school things and homework. 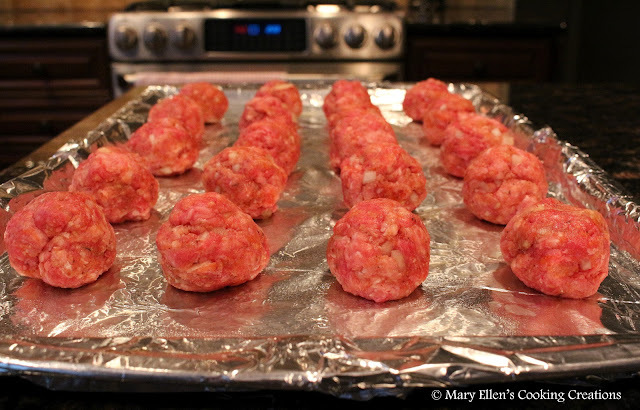 Instead of making our traditional meatball recipe (beef, meatloaf mix, seasoning, onions, breadcrumbs, egg), I decided to put some of the elements of the beef stew into the meatballs. So into these balls went some grated carrot, onion, garlic, tomato paste, thyme. As soon as the meatballs were done I had to taste one (as I always do). They were herby and tender with a small bit of sweetness from the carrot. Nailed it. 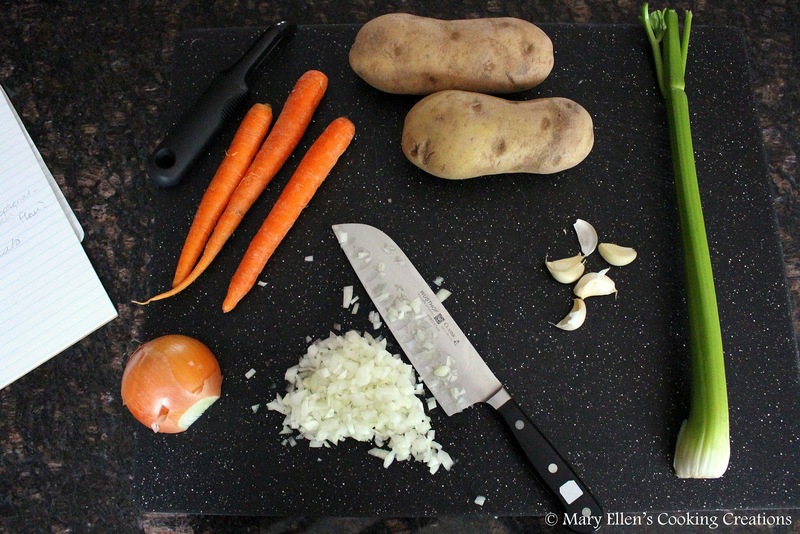 While I will still make my favorite Guinness Beef Stew as often as I can, I'm so happy to have this recipe to turn to when I need something quick and easy. Start the stew: In a large pot or Dutch Oven, heat 1 Tbsp olive oil over medium high heat. Add the onions and garlic; saute 2-3 minutes. Add the flour and stir to coat, and then add the tomato paste. Stir. Add all of the veggies followed by the broth, thyme, salt, pepper, and bay leaf. Bring to a low simmer, and let simmer, partly covered. Heat the oven to 375; line a cookie sheet with tin foil. 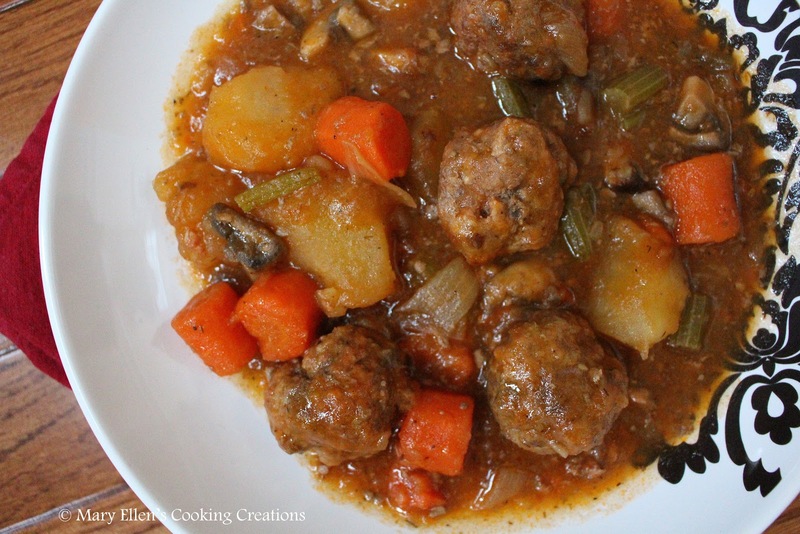 Make the meatballs: In a large bowl, mix all of the meatball ingredients until combined. Spoon into medium balls (you should be able to make 20), and place on the cookie sheet. Bake for 20 minutes, flipping them over halfway through. Once the meatballs are cooked, add them to the stew and stir to combine. Taste and adjust any seasoning. Let simmer at least 20 minutes and up to an hour, or until ready to eat.